2015 has arrived, and from the perspective of our wallets, we’re on the right side of Christmas. In the coming months we can look forward to the return of financial stability, because even if Christmas gift-buying wasn’t a feature in your winter schedule, turning up the heating must have been. But before salaries start rolling in and we’re back to business as usual, there are simple changes to be considered early on that could put more money in our pockets for the year ahead. With numerous reports detailing how wage growth is ailing from the US to the UK, life is undeniably getting more expensive. So with these tips, you should be able to get more for your money, and save it for the stuff that really matters (like next Christmas). There have been some shocking reports about families struggling to pay their heating bills in recent months. While heating is necessary, getting the most out of the boiler rarely has anything to do with turning it up full-blast, especially when it’s likely to incur a sizeable cost. In many cases, problems with heating are just radiator faults. If that’s the case, turning up the heat to combat a poor heating performance will make your bills hot, but not your home. With increasingly available and inexpensive gadgets like automatic radiator bleeders, you can prevent any chance of trapped air pockets impairing your radiators. In addition, products like radiator boosters can help you get more out your radiators by regulating and distributing their heat. Another common issue with heating is how it can be wasted. Home automation specialists Mayflower AV say that “heating accounts for the majority of energy consumed by the average household and a significant amount of money is wasted by inefficient systems that heat empty rooms or unoccupied homes altogether.” Although it may sound like the solution could be as simple as setting up a heating schedule that correlates with our daily routines, it isn’t the most effective method for cutting down on wasted heat. Home automation devices that enable you to control your heating remotely with a smart-phone or computer can be the difference between whether you end up paying for a full night of heating when you know you won’t be home or not. Although this may sound like a case of “easier said than done”, there are many blossoming companies that present more financially appealing alternatives to what are basically essential services. Although they may have endured months of negative press, the popularity of the ride-sharing app Uber is still on the increase and it’s all because they present a cheaper alternative to regular taxis. Some companies don’t just offer money-saving options, they can generate money too. Your Parking Space, recently championed by Money Saving Expert, is one of many online parking marketplaces that enable users to either rent or rent out unused parking spaces. Everyone knows how expensive it can be to park in the city, but rather than having to pay extortionate by-the-hour car park prices, users of online parking marketplaces can pay much less for better locations. Cashback sites can also yield fruitful returns. Essentially, they pay their users to shop and can also suggest cheaper alternatives. They may easily be dismissed for paying such small amounts in some instances, but for active users there can be huge annual rewards. With the New Year coming replete with aspirations for many of us, online courses present an ideal opportunity for people looking to try something new but with more flexibility. Fortunately, as the Economist has stated, the traditional higher education business is facing a serious and welcome earthquake thanks to online courses. In other words, the proliferation of online courses that spare students astronomical tuition fees have forced most major educational institutions to introduce online courses of their own. The consequences of this are twofold: there are more quality online course providers than ever, and they’re competing to give the lowest price. The range of courses available aren’t limited to strictly theoretical pursuits either. Treehouse provide an online platform for beginners interested in everything from coding, making apps to starting a business. At another point on the technology-mastering spectrum, for those interested in music production, SubBass, a highly-esteemed London-based electronic music academy, offer students cheaper online courses for learning to use music software like Ableton and Logic. Even if the cost of the course isn’t massively reduced, there are still savings to be made. This is mainly due to the fact that online courses do not require physical attendance which rules out usual expenditures like accommodation or travel costs. 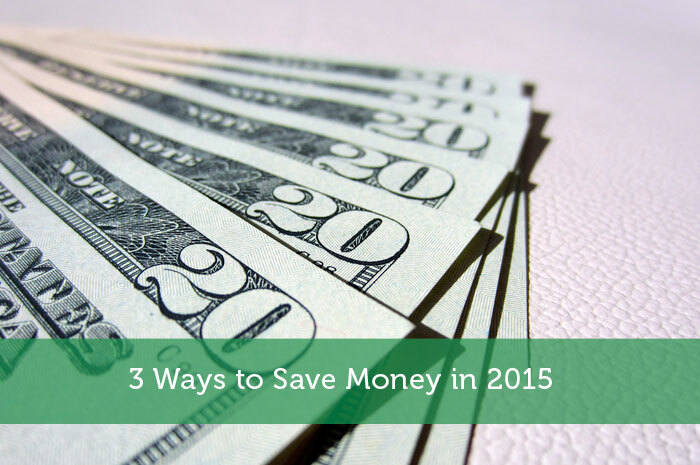 Now is a great time of year to start looking for ways to save. All year is a great time! Thanks for the tips! I agree with finding cheaper alternatives. There are so many options out there and so many great people coming up with awesome ideas that you need to keep an eye out for alternatives. The best part is that with the internet, it’s easier than ever to find out about and learn out these alternatives. Just do a quick search with the term and “alternative” and you might be surprised with what you find. There are a couple language courses that I want to take this year. Hopefully Treehouse offers them. Your Parking Space is cool, I had no idea that existed! Thanks! Ah, yes, lots of Coursera courses I hope to hammer out this year. 2015 savings, for the win! Hopefully the recent downturn in the cost of oil on the world market will translate into lower heating oil and natural gas prices for consumers. Code Academy is where it’s at. Love the format. I’m still working my way through the PHP course in hopes that I’ll be able to customize my WordPress themes a little further in the future. I agree. There are so many great alternatives and they are typically provided for free. I learned the basic 101 skate tips and swimming tips from youtube and it has served me pretty well. Thanks for sharing! Whatever you do, try your best to save at least 10% of your income. Because my 2015 will be a better year, I’d surely take an online course. I’m so excited what impact it can bring to my saving strategy. Our winter heating bills are the highest all year-just got done winterizing hope that saves us from last years costs! Some great tips here. I installed some automatic radiator bleeders last year and it has made such a difference – knowing my system is working efficiently all the time is great! All the small thins add up! Thanks for sharing!